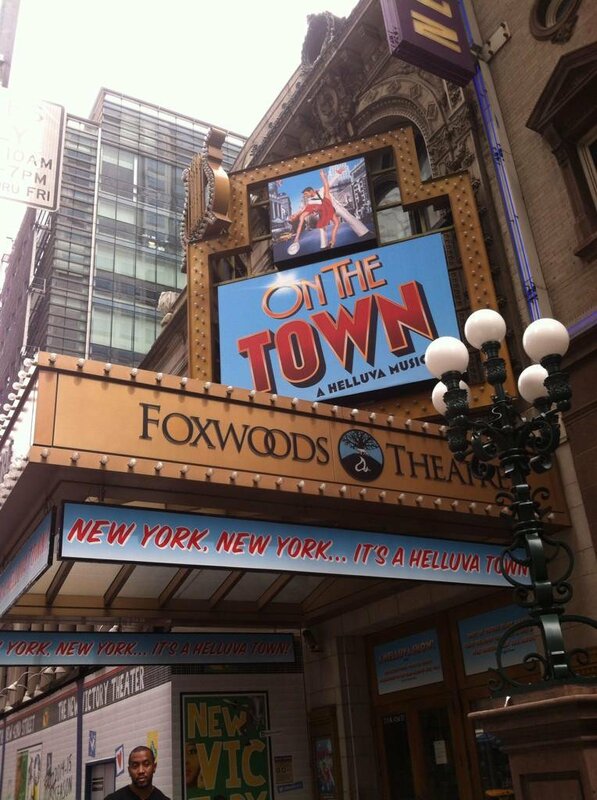 On the Town played its last performance on September 6, 2015. Get tickets now – playing through September 6 only! 3 sailors, 24 hours shore leave, and one big city! On the Town returns with the biggest orchestra on Broadway and a 30-member cast of singers and dancers. February Notes: On February 11, there is no 2:00 PM performance. On February 15, there is a 2 PM and 7:30 PM performance in lieu of a 3:00 PM performance. TodayTix Lottery – Download the TodayTix app. Tap on the On the Town Lottery. Select the performance you’d like to see, and enter to win up to two $20 lottery ticket(s). The entry period will begin each day at midnight, and continue until winners are notified 3-4 hours before showtime via email or push notification. Tickets will be located in orchestra or dress circle (subject to availability). You can earn up to two extra entries for sharing on Facebook and/or Twitter. Suggested Dining – Coming Soon!